Xyron for a super fun blog hop this week! Happy Monday to you! Jen here today to help kick off the Xyron Blog Hop. Halloween projects are one of my all time favorite things to create! Fall is just around the corner, so I’m here to share an early Halloween layout. 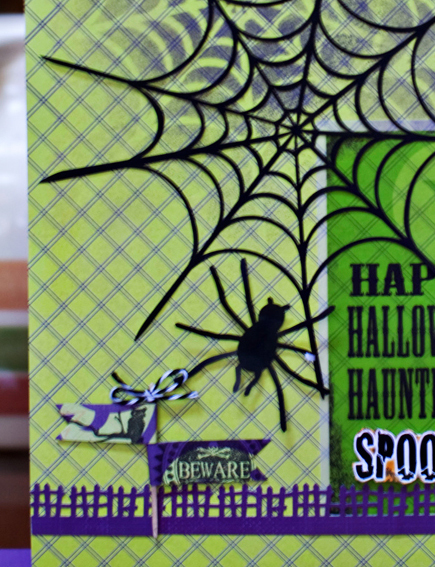 I used Quick Quotes new Halloween Paperline to create this “spooky” layout. I inked the edges of my papers with Purple Passion PowderPuff Chalking Ink and layered my papers on my layout. I used a Vellum Quote attached with brads as my title and added another Vellum Quote with a cute Halloween poem on my first page. I used several Cardstock Phrases that I cut out, inked the edges and pop dotted on my layout. I sure am loving this new paper line and the Xyron Create-A-Sticker made this project a breeze! Gorgeous halloween fun! Thanks for a chance to win! What a fun layout. Thanks for the chance to win. Beautiful layout, thanks for a chance to win. Wonderful layouts! I am loving the Halloween line! Love the paper and elements! The layouts are fun! Thanks for the chance to win! Love the colors and layouts! Such great ideas to get the juices flowing!!! Both layouts are so cute. Love the chipboard cutout in the first layout. Thanks for sharing these, so the rest of us can get some insperation. Great ideas & love the colors! great lo. tfs. love my powder puff inks and my xyron. can't scrap w/o them. What fun! 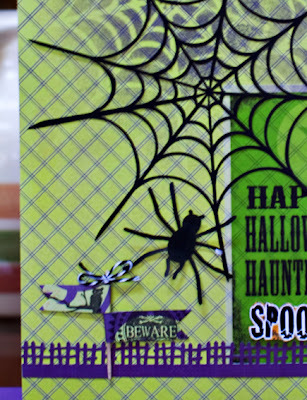 I love the spider webs and creative use of the inks and sticker maker, very creative and adorable! I love Halloween and these layouts are so much fun. Can't wait to get my hands on the Halloween line of papers! Both layouts are wonderful. Personal fav is the spiderweb layout! Awesome! I love the layout and all the colors! love the layouts! Can't wait for Halloween! Love your LO with great tips. Thanks for the chance to win some great product. cant wait to do some fall crafting!!! What fun layouts! Thanks for the chance to win. Xyron is the perfect sticker maker. i'm a new follower and i've subscribed for your emails as well. love these papers and especially the 'be afraid' chipboard...love this. thanks for the chance to win! Love the Halloween fun!! Thanks for the giveaway! 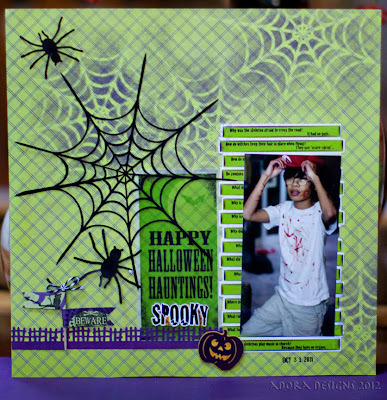 This is RaNae Ellett......I love the new Halloween papers....the projects shown are really awesome. I love that you layered your papers and inked some of the pieces....all adding dimension and color. Really Great! Love Halloween and Christmas. Paper is my downfall........Thanks for a chance to win.........Good Luck to everyone. Love your Halloween Line....scarily gorgeous! Of course, love Xyron, too! I NEED a megarunner! Gorgeous designs. I love my xyron to make stickers! It helps add so much to a page. I had never thought of using the PowderPuff chalking inks to change the color of the lace, what a fabulous idea. Thanks for the chance to win. Great layouts! I finally used my create a sticker over the weekend and love it! I just love these!!! Perfect for this time of year and you gotta love xyron helping out with those little cuts! THanks so much! I loved the double layouts (but not the spiders - I don't even like paper or stamped ones.) Xyron adhesives are the bomb! I love Halloween layouts. Thanks for this opportunity. These layouts are so cute. Thanks so much for the inspiration. I too love Halloween, anything Halloween. The layout is so cute! Great LO's. Thanks for sharing and a chance to win. Cute layouts, girls! I knew I should have purchased that line at QQPR St. Louis! Great layouts. I love anything Halloween. Probably because my birthday is in late October and Halloween was usually the theme of my birthday parties when I was little. Such wonderful inspiration! Xyron makes it look so much easier! This is an absolutely fabulous Halloween LO! The QQ papers are awesome! Halloween is my favorite holiday. I love the chipboard sayings. I need a new Xyron Mega Runner! Thank you for the chance to win. I do not know what I would do without either of my Xyron's machines. Especially if I was trying to tack down one of those spider webs. That shade of green is perfect for Halloween paper. Love Love Love the Halloween layouts. Thanks for the opportunity to win - all week! Love my little xyron mini that my daughter won at QQ Orivate reserve last year. I just need to upgrade to the big girl one sometime. TFS!!! Great project. Love that Purple Passion ink pad. I love the versatility of chalking the chipboard to make it blend with the layout. Xyron makes glueing down intricate pieces easy. Love the page. Anjie Simmons here. I love this Halloween paper. So cute! A chance to win .... Thank You! Great layouts! I can't wait to try these!! 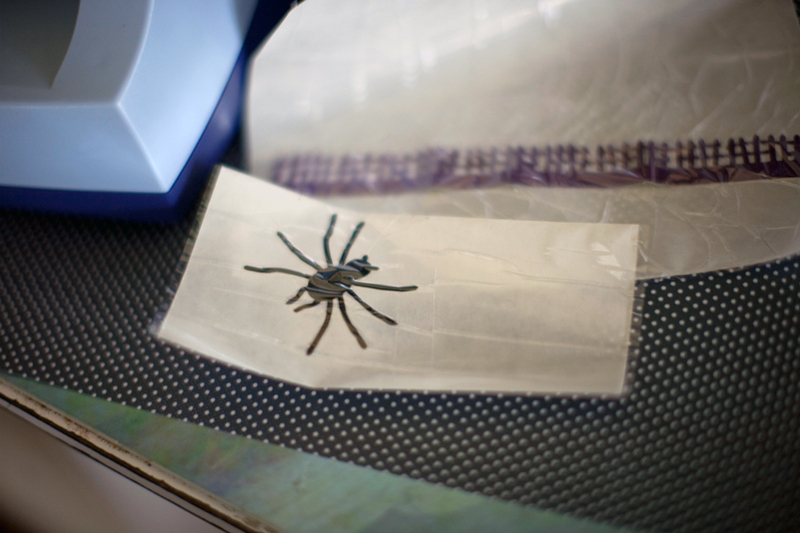 The chipboard spiders on both projects were CUTE! Great layouts, but I especially love the spider web page! Ruth Medrano and I love the colors. Love the lay outs and the papers are awesome! 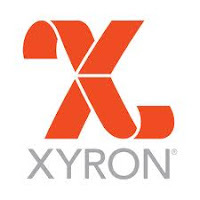 Have always been a Huge fan of both Quick Quotes and Xyron! You both are Terrific!!! I know what you mean. I have to use my Xyron machines! Omigosh, love them!!! Like the scrapbook layouts & photos. I love Halloween layouts. Thanks so much for sharing. I love to decorate for Halloween. The spider web is really scary and would look good with my decorations. Am alreay a follower and thanks for this great opportunity. Love your colorful project. Halloween is my fave also. Now a follower! 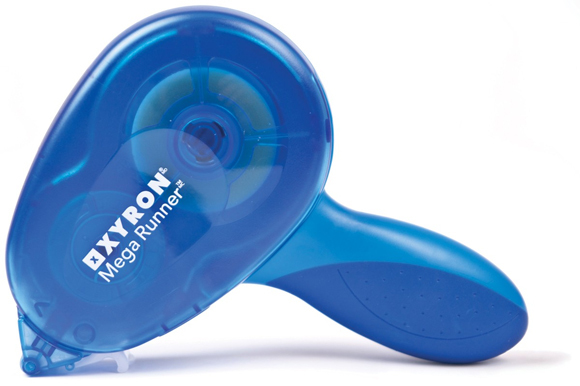 Love Xyron - isn't the tape runner fantastic??? I really like the idea of colouring the lace - so often you need a different colour than what you have on hand. Gotta try it! This is such a great technique and you guys showed this to us at Scrapbook Expo. Took ALL your classes and now I color coordinate EVERYTHING with your amazing ink/chalks ! Love the way they cover with such depth and vibrance. What fun hopping from blog to blog! Thanks for the opportunity to win a prize as well! I absolutely love Xyron products !! Thanks so much for a chance to win !! 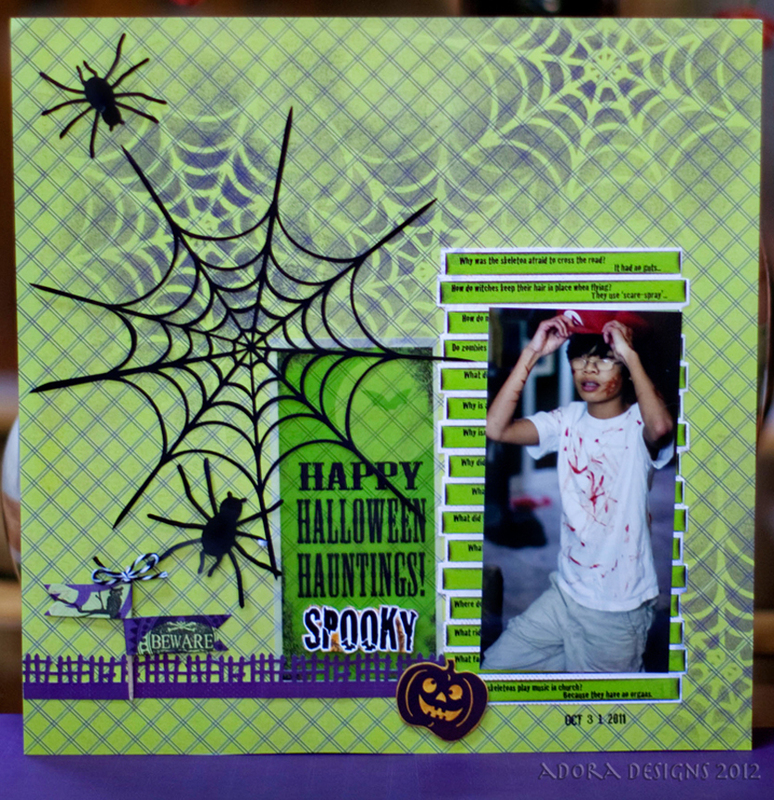 Two spooktacular layouts! I love my Zyron create-a-sticker and Quick Quotes can't be beat for beautiful papers and embellies. It's always so much fun to craft for Halloween...just love the lay outs. love these halloween layouts thanks for sharing and the chance to win im a follower. I love all the details on both of these layouts, thanks for the inspiration! Wonderful scrapbook layout & photos. Thanks for the chance to win free stuff! Cute, yet scarey pages! OOPS I forgot my real name! (That sounds bad, doesn't it? Nice layouts. I like the webs on the background of Adora's page. All the pattern papers look great on Jen's layout.